Just days after taking over the world #1 ranking, Roman Romanovsky picked up a six-figure score and a win. New PocketFives.com world #1 ranked player Roman Romanovsky was among the big Sunday winners after the Ukranian took down the GGPoker Sunday Blade $10K for a whopping $104,500. Romanovsky, who overtook ‘Lena900‘ in the rankings for the first time this week, beat 19 other players to win the $10,000 buy-in tournament. ‘LuckyChewyFan69‘ took second place for $63,214, and ‘ImLividBuddy‘ banked $32,285 in third. GGPoker’s weekly $5,000 buy-in continued to attract players with 50 entrants exceeding the $200,000 guaranteed prize pool. Ultimately, it was ‘LlinusLLove‘ who won the $90,760 first-place prize with ‘ImLividBuddy‘, ‘FkTheseGuysBro‘ and Bryn Kenney also among the players to cash. ‘MoTTaGeNiaL‘ saw off the challenge of Belgium’s #1 ranked player Thomas ‘MarToMchat’ Boivin to win the PokerStars $109 Sunday Million for $110,898. The prize pool reached $1,080,500 after 10,805 players took to the online battlefield, and when the mega-sized field was reduced to the final three players, it was ‘BCbones‘ who took the bronze medal alongside $58,397. Boivin, who has recorded over $3.2m in combined live and online career cashes, then fell at the final hurdle and settled for $80,470, as ‘MoTTaGeNiaL’ took the glory this week. 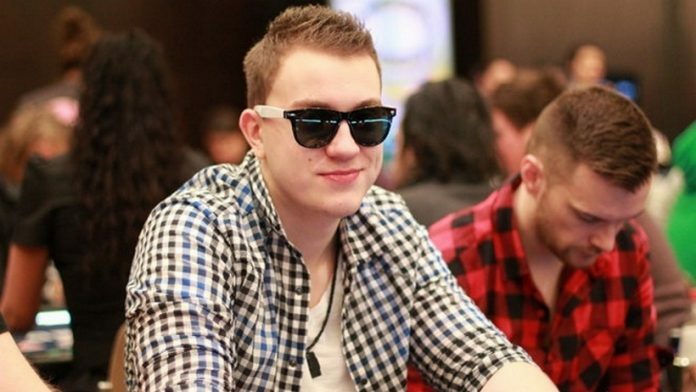 ‘WhaTisL0v3‘ defeated Montenegro’s ‘Adrijan_s‘ heads-up to win the PokerStars $2,100 Sunday High Roller for $50,851. The prize pool was set at $232,000 after 116 entrants took part, and when the field was reduced to the final five it was world ranked #2 ‘lena900‘ who departed first for $17,842. ‘cmon_gasquet‘ departed next for $23,183, and RYE head-coach ‘bencb789’ took the bronze medal for $30,121. ‘Adrijan_s’ then hit the rail in second place for $39,137, as ‘WhaTisL0v3’ picked up the victory. ‘Artem205‘ came through a 1,005 player-field in the PokerStars $530 Bounty Builder High Roller to win over $66,000. On a final table of nine that featured no less than five PockerFivers, world ranked #17 Jonathan ‘Proudflop’ Proudfoot took third place for $22,243 + $5,335. ‘Artem205’ then won the final bounty battle, which saw ‘OhHeyCindy‘ take the runners-up spot for $30,346 + $14,755. ‘solanj‘ banked the largest share of the $178,000 PokerStars $215 Sunday Warm-Up prize pool after battling through 890 players. ‘1chiban‘ was awarded $15,366 for third place, and ‘DeuceofDuc0‘ took away $21,371 in second place. partypoker pro Dzmitry Urbanovich featured on two major final tables for a combined score worth over $24,000. Urbanovich took sixth place in the partypoker $1,050 Sunday High Roller Deepstack for $8,400 before ‘FkTheseGuysBro’ defeated ‘IN INFINITY’ heads-up to win the $40,780 top prize. And in the partypoker $530 Sunday HR Bounty Hunter, Urbanovich acheived the bronze medal for $11,662 + $4,919 in bounty prizes, before ‘mwhldwn‘ aka ‘bencb789’, fell in second place for $17,000 + $2,567, as ‘Beeeetelgeuse’ secured victory for $17,024 + $23,073. Over on 888poker, there were wins for ‘wisimaki‘ and ‘SkallePer58‘. Malta’s ‘wisimaki‘ banked $22,000 after victory in the $1,000 buy-in ‘Whale‘. Five places were paid with ‘purplegerbil‘ taking third for $8,250, and ‘FlatTopTony’ taking $14,850 in second. ‘purplegerbil’ saw their day got even better after they achieved a silver medal in the $215 Sunday Mega Deep for $14,500. ‘sikosomatik‘ took third place for $11,000, and ‘SkallePer58’ added $19,350 to their bankroll with the victory.